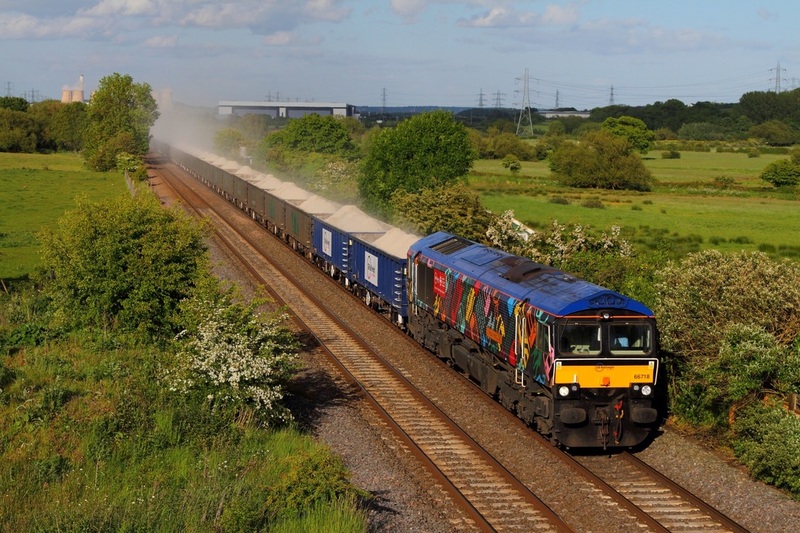 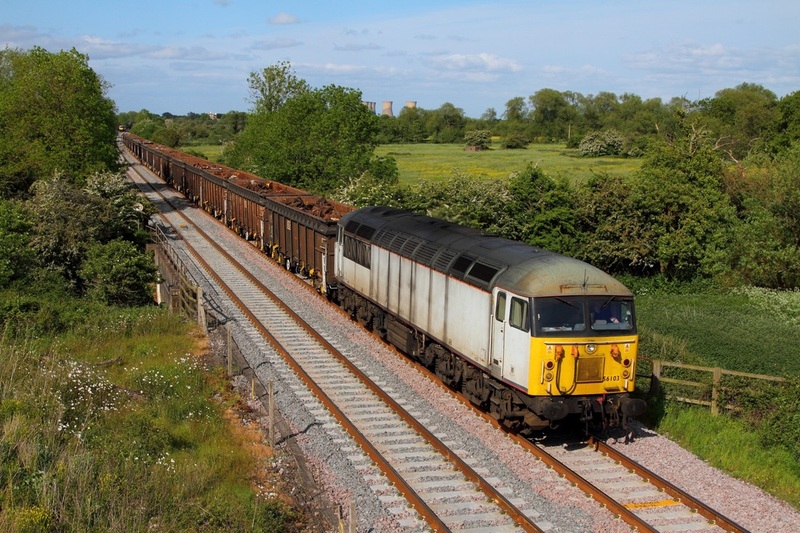 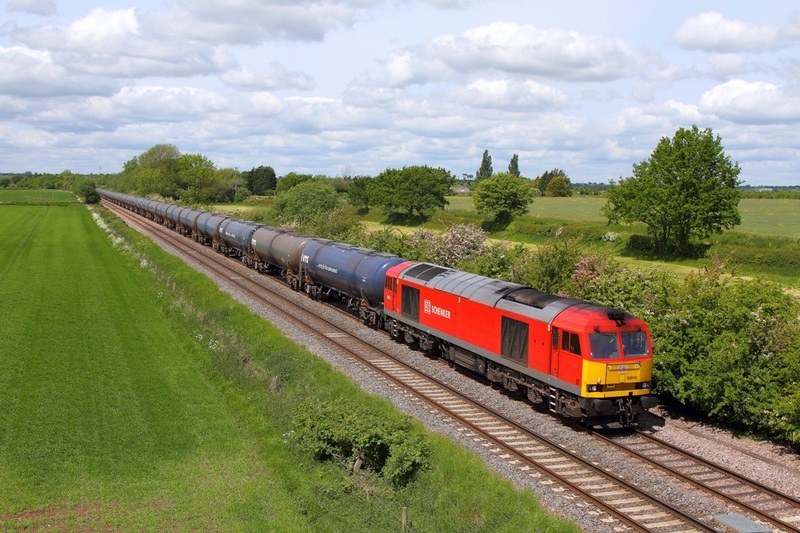 GBRf 66718 in London transport livery hauls the 6V80 1600 West Burton to Portbury loaded gypsum and produces a dust storm as it rattles through Weston on Trent on the 31st May 2015. 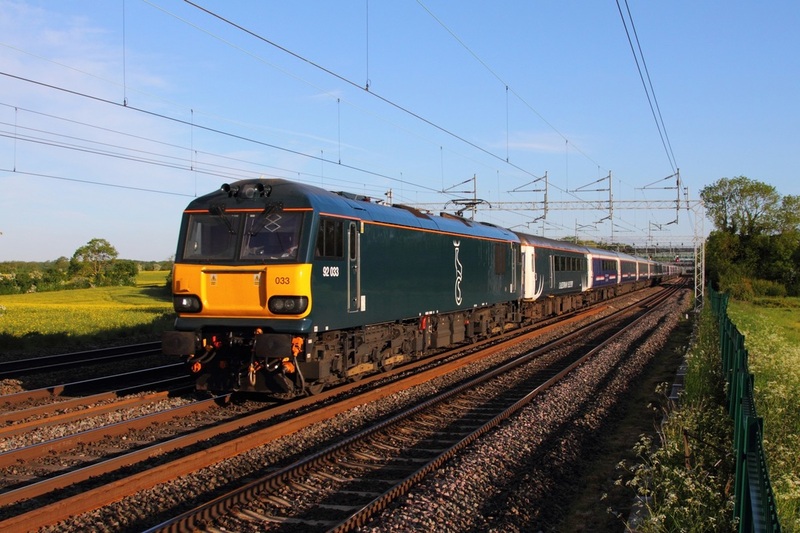 Caledonian Sleeper liveried 92033 leads the 1M16 Inverness to London Euston at Cathiron on the 30th May 2015. 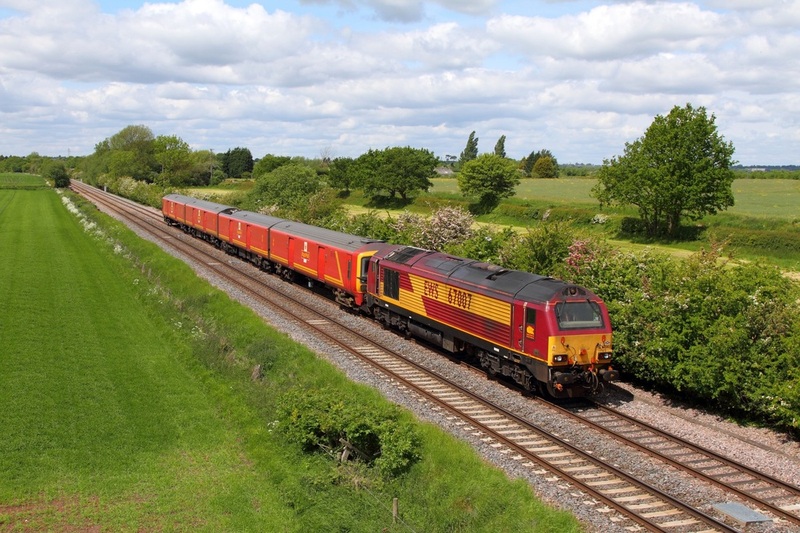 Colas rail freight 60021 hauls the 6E38 Colnbrook to Lindsey passes 66563 on the 4E57 1918 Ratcliffe to Hunslet at East Midlands Parkway on the 20th May 2015. 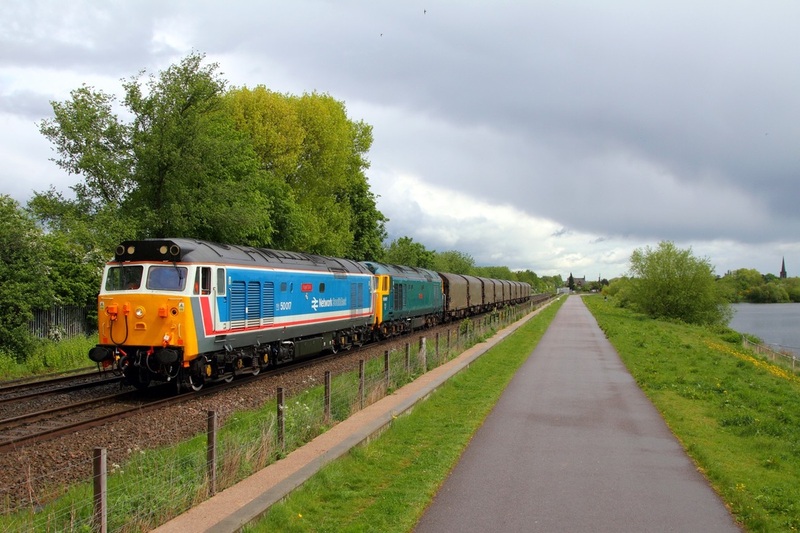 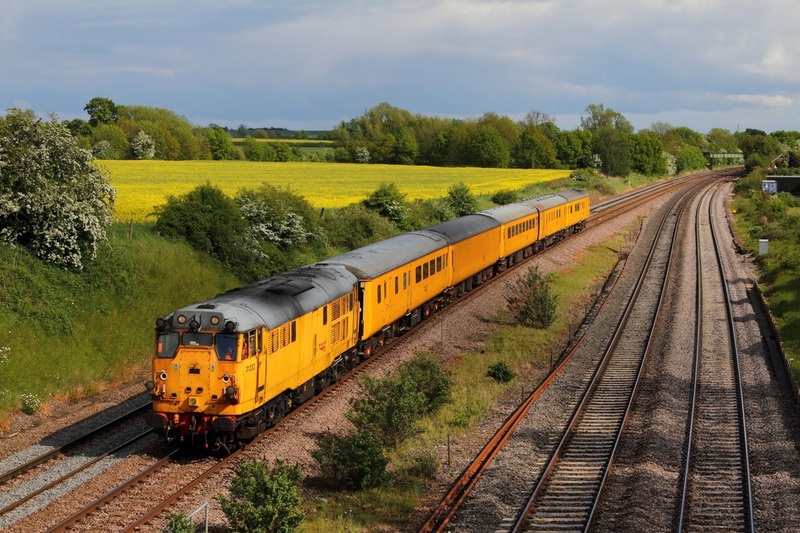 Network Rail's 31233 leads the 3Z11 1500 Old Dalby to Derby RTC at Normanton on Soar on the 18th May 2015. 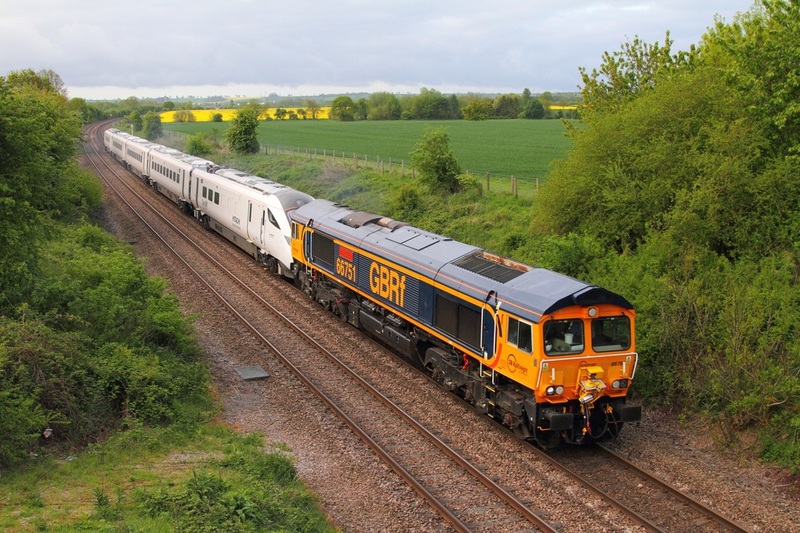 GBRf 66751 hauls Hitachi super express IEP Class 800 no. 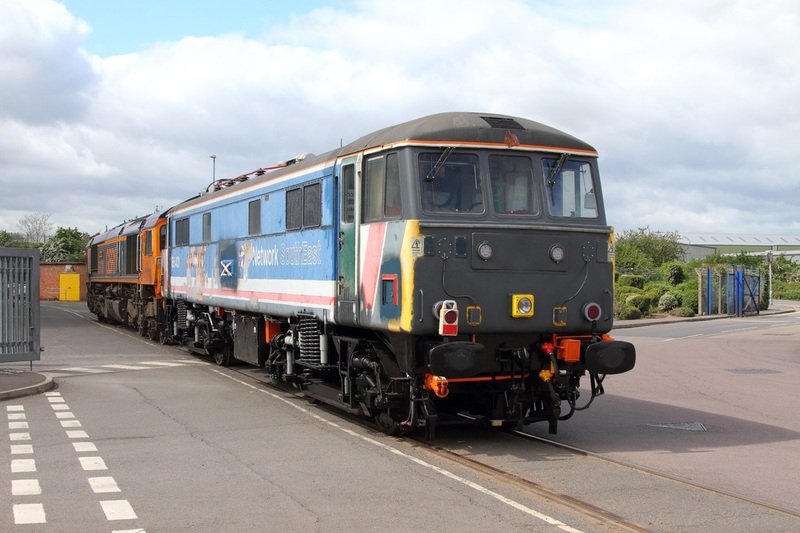 800001 at Melton Mowbray as the 5M98 Tallington to Old Dalby on the 16th May 2015. 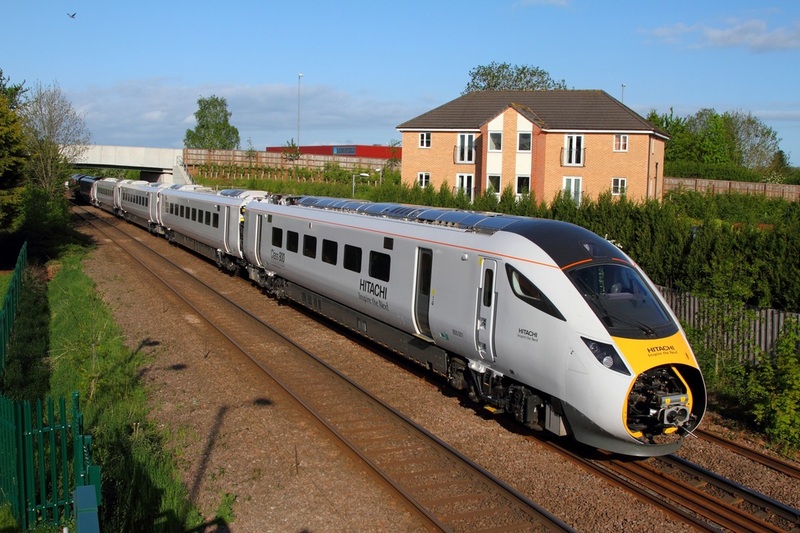 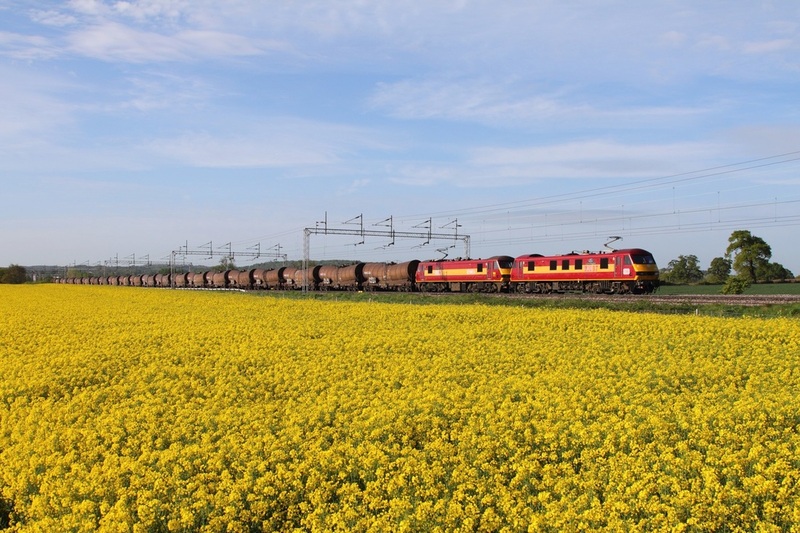 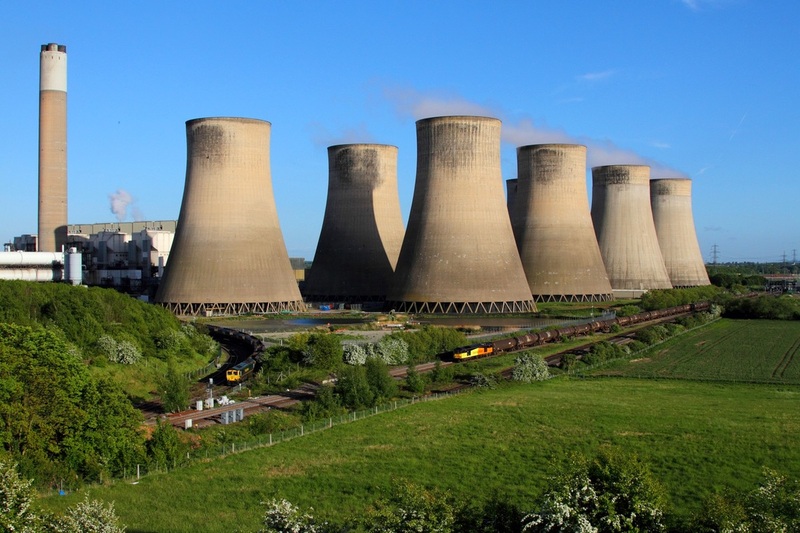 The Inter City express train had been on mainline tests on the ECML through the night and these trains are for FGW (GWR from 2015) and Virgin Trains East Coast to replace the ageing Inter City 125 High Speed trains.